WESTERN Australia's attempt to bat out the day against NSW ended up being a futile endeavour after a little bit of luck for the home side in the Sheffield Shield clash. The Warriors crawled towards the deficit of 198 on the back of Cameron Bancroft, who scored 86 off 263 balls. But it was former Australian all-rounder Hilton Cartwright's dismissal that told the story of the day. 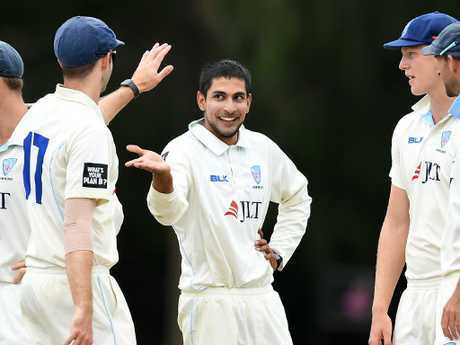 Cartwright was on three off 46 balls and facing the part-time spin of NSW young gun Jason Sangha. His first shot in anger, a full-blooded pull came out of the middle and on to the helmet of Nick Larkin at short leg with the ball ballooning up for Sangha to complete the catch. Previously, it wouldn't have been a wicket as it used to be a dead ball if the ball was slammed into a fielder's helmet, but the rule was changed in 2017. It was a perfect example of how Western Australia's day went. Just three batsmen passed double figures: Bancroft, Josh Inglis (22) and Joel Paris (11). Even Bancroft's innings just missed a Shield record. In his first Shield game back since his ball-tampering ban ended, Bancroft faced 621 balls across his two innings of 138 not out and 86, falling 28 balls short of Steve Waugh's all-time record of 649. However, he became the first player to face more than 550 balls twice in a Shield match. But Mike Hussey said Bancroft needed to keep scoring big to return to the Australian side. "It's a performance and it's all any of these contenders can do, pile on the runs," he said on Macquarie Sports Radio. "It's a great start for Cameron Bancroft, but what he'll need to do is back it up with more hundreds. I'd say there are others just in front of him at the moment." 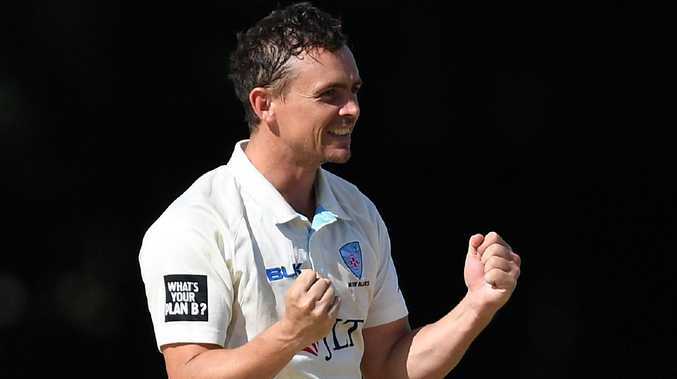 Former Australian spinner Steve O'Keefe was named the man of the match for NSW, taking 5-52 in the second innings to go with his first-innings haul of 4-78. He also struck 57 off 87, including three sixes, to support centuries from Kurtis Patterson and Peter Nevill as NSW ran away with an innings and 51 run win. Last month, O'Keefe said he'd focus on just playing his best cricket, essentially giving up on the Test cricket dream. 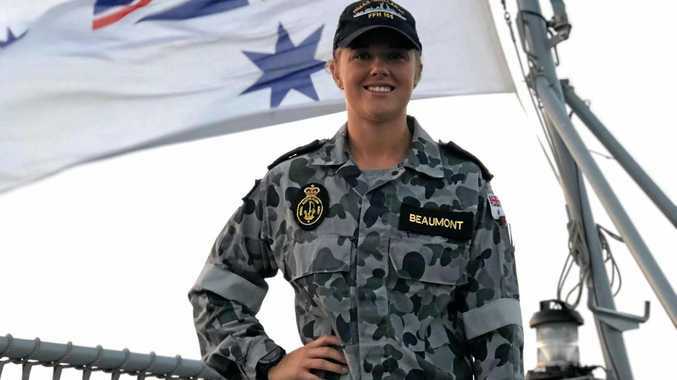 "(Last year) I was probably worried more about four-day cricket and Test cricket because for me that was sort of the pinnacle," the Sydney Sixers star said before the BBL semi-final. Who would want to be a selector? At the start of the summer, no batsmen were in form, but Marcus Harris came along and gave Australia hope. Solid performances against India had him almost a certainty for the Ashes. A few lean performances against Sri Lanka and he was on the outer as Joe Burns pressed his claims. First game back, Harris's Victorians played Burn's Queenslanders. Burns scored a first innings 60 and second innings 80, but Harris has made the battle for the opening sport all the harder. With a first innings 95 put down as falling short of a ton, he was disappointed with the result. "It was disappointing to get out when I did," Harris said. "I think that's the first time I've got out in the 90s in Shield cricket. "It's crap because you have so many bad days so to get that close and not get it is disappointing. "(But) I've had a quiet little patch so it was good to get some runs." After his second innings performance, all he's given selectors is a headache. The 26-year-old chased down an unlikely 304 with an incredible 174 off 197 balls before he was out late in the chase. It has taken Harris to the top of the Sheffield Shield run scoring ladder, more than 100 runs ahead of Matthew Wade. Harris has 770 runs from 10 innings with an average of 85.55, including his stunning 250 in the first half of the year. A late wobble gave the ladder leaders a nervous moment but Victoria claimed a three-wicket win. Harris slammed 23 fours and a six in his innings. 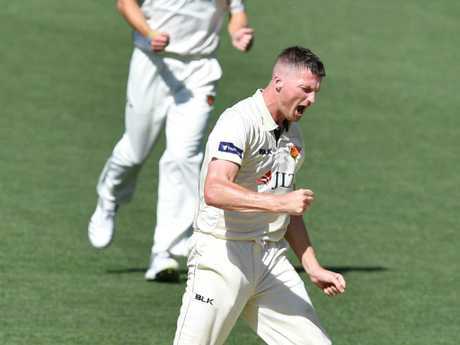 The Australian batting order has had most of the attention to start the Sheffield Shield return but Aussie swing bowler Jackson Bird has reminded selectors of what he can do with a Duke ball. Tasmania's Bird took 4-53 in the first innings but backed it up with 7-59 in South Australia's second dig to give his side a 109-run chase for victory. 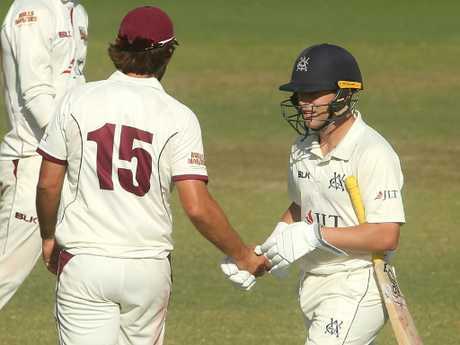 South Australia's Jake Weatherald, who was discussed at the beginning of the summer as a potential bolter, reminded selectors of what he could do with 150 off 259 balls, striking 15 fours and five sixes, while Callum Ferguson hit 60 and Travis Head 50 to give South Australia hope. But when Ferguson fell with the score on 4-298, South Australia's house of cards collapsed as Bird and Tom Rogers orchestrated a 7-21 demolition to give Tasmania an easy chase for victory. The 109-run chase took over 30 overs and cost four wickets as Tasmania claimed the victory. The match was set up with Charlie Wakim hitting 160 on debut as the 27-year-old became the second Shield batsman after opener Neville Jelich in 1987 to hit a century in his maiden Shield innings for Tasmania.